This week marks the 10th anniversary of the U.S. invasion of Iraq. Millions of people in the U.S. and around the world took to the streets in opposition to the invasion. We wrote letters and made phone calls to our so-called representatives in this so-called democracy. We knew an invasion would be a crime against humanity. I was in San Francisco on spring break with my young family when the first bombs were dropped on Baghdad. Protesters chained themselves in the streets, outraged by what our government was doing in our name. We knew it was a crime, but the people in power did not care. They still don’t care. That invasion didn’t affect their lives except to make them richer and expand their power base. Fear and greed ruled that day, as it continues to rule. I am so very, very sorry. I wish you peace and comfort. He is so right. It’s a tragedy that he (along with so many others) will give his life for a war that he didn’t believe in and that never did make any sense. Thank you for reading this, Barb. The whole thing breaks my heart. All this “anniversary” talk and with the exception of Tomas Young, most neglected to mention the Iraqis in the conversation. We blew up their country. We destroyed lives. For no reason. It breaks my heart, too. So many lives blown apart, so much pain, so much harm done. 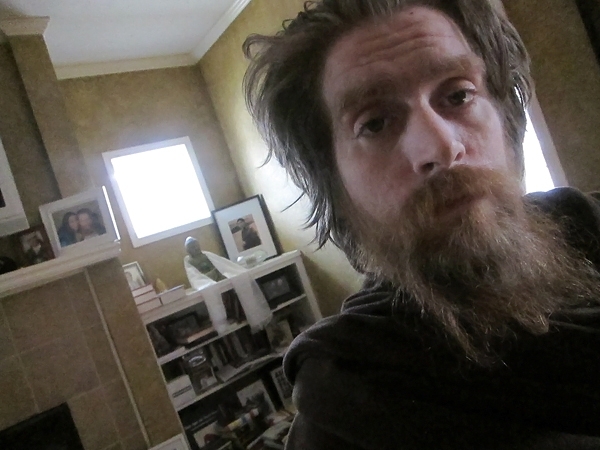 Peace be with you, Tomas Young. Thank you, Amy, for sharing in this little conversation. It eases some of the hurt to share feelings with others.